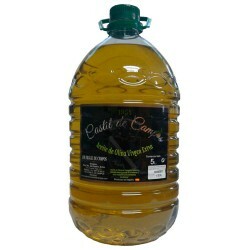 Big Bottle Olive Oil 5 L. Casa del Agua Picual. Casa del Agua is a medium intensity extra virgin, very stable, balanced and smooth, though with great body, which makes it a very suitable oil for use in traditional cooking: frying, stir-fries and stews, but also to take raw, in fact, you will love a plate of octopus with this oil. Among the variety of Picual oil, Casa del Agua clearly has its own quality seal both for its spectacular flavor and multiple uses that can be made of it to bring benefits to our health. 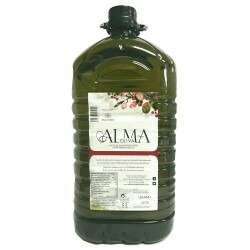 Behind this oil is Galgon 99, located in Villanueva de la Reina in Jaen and especially known for its oil Oro Bailen. It also contains a lot of antioxidants and polyphenols what helps you get a full and healthy nutrition and is also a great source of Vitamin E so necessary in our body. 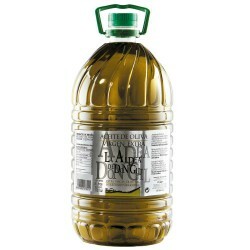 Olive Oil Big Bottle 5 L. Magnasur Picual.